At First Baptist Church Weslaco, we offer a variety of women’s Bible studies and support groups to encourage and lift up women with the challenges that they may face on a daily basis. MOMS is the acronym for Moms Offering Moms Support. This group of MOMS exists to support mothers through encouraging and lifting each other up in the challenges that moms. MOMS meets on Wednesday evenings, which allows free time away from the children. MOMS offers fellowship through Bible Study, MOMS night out with a meal, or meeting together with the Band of Brothers for a BBQ. Whether you are a seasoned MOM or a new MOM, we invite you to fellowship and offer each other support through the FBCW MOMS group. WOM is an organization for women in missions in their churches. Members are involved in learning about missions, praying for and giving to missions, and actively participating in missions projects and activities. WOM meets the first Tuesday of each month. Contact the church office for details. The women of ministry group meets monthly to fellowship and study. 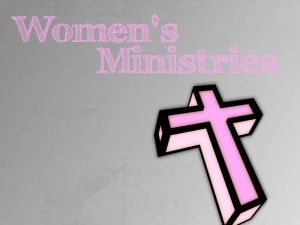 The Women of Ministry group also get involved in various ministries and events within the church and community. Please contact the church office if you would like more information about the FBCW Women of Ministry group.